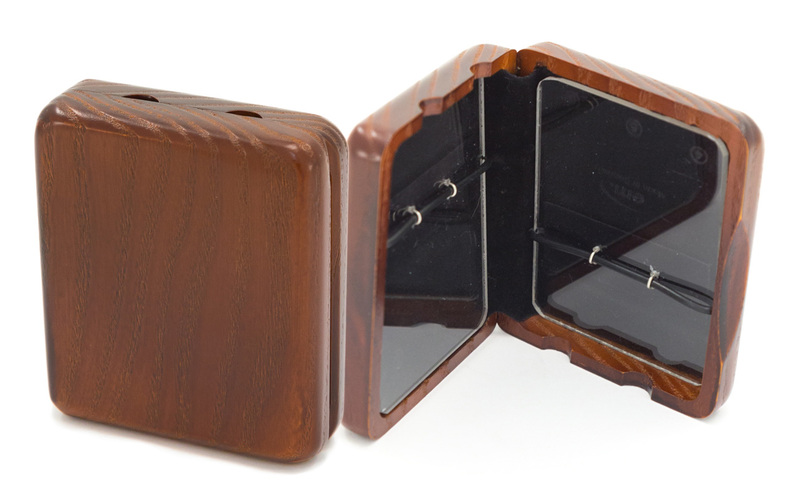 A stylish reed case with a perspex interior, holding six tenor sax reeds. Available in mahogany or natural wood finish. I prefer this solid case with the flat plate which helps prevent warping of the reed tip. See my review of the Alto case - the comments apply to this tenor case. I let my reeds dry out to some degree before putting them in, the plate helps prevent warping while they dry further. Small vent holes on the side of the case provide ventilation.